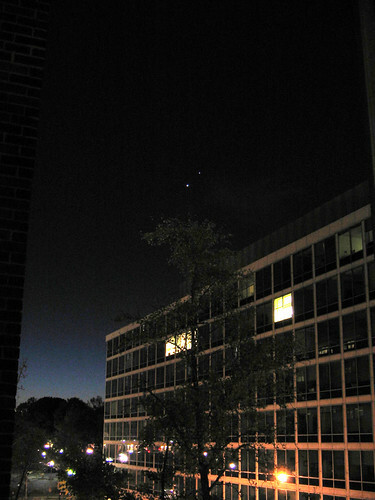 Venus and Jupiter come within one degree apart early this morning. The conjunction actually peaked Thursday and Friday, but I only managed to wake early enough today to get this photo. ISO 50 this time, with a steady hand. More info on the conjunction from NASA.